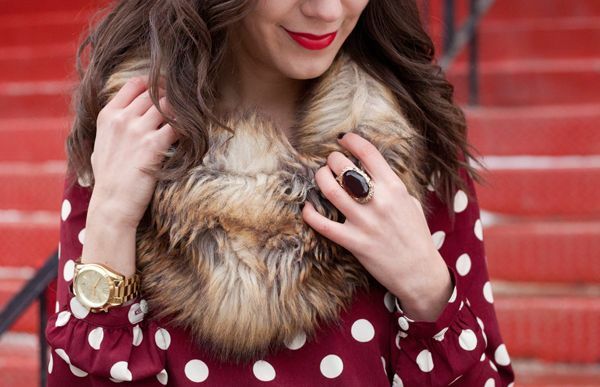 Leopard print might not exactly come to mind when one considers holiday prints (with plaid, argyle, heck, even polka dots seeming more appropriate), but for whatever reason, I'm loving it for Christmas Week. 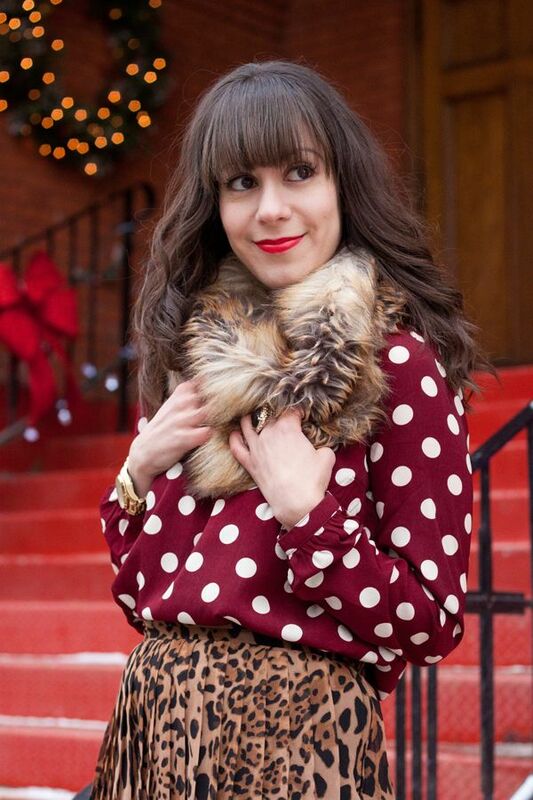 Paired with oxblood and some faux fur — not to mention a festive church backdrop — I'm holiday-ready... Four more sleeps! Ohhh i am loving this look!! The spots and dots are fabulous, great photos pretty lady! I am so ready for Christmas as well! The food, spending time with the family, and watching my cute nieces and nephews open their gifts. I wish you a very Happy Christmas! I love your fur cowl! Just lovely skirt...and you look fab! 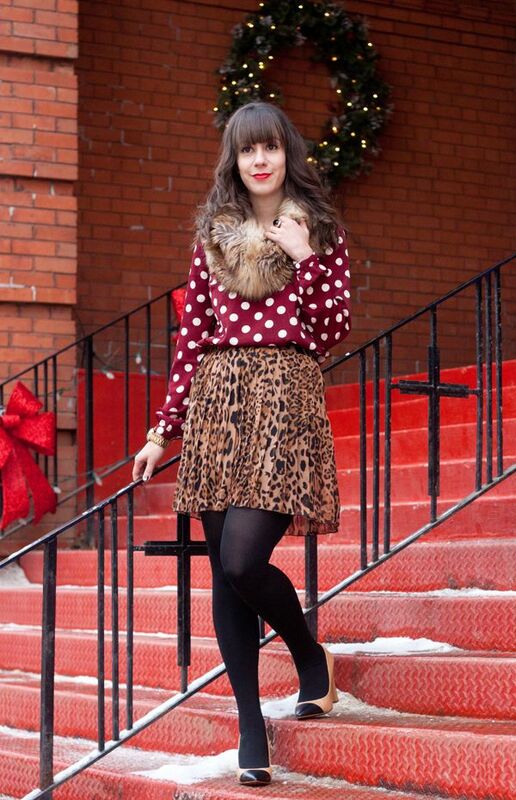 Love your polka dot blouse - and I totally agree, leopard for the holidays just seems right!